Buying a home is as exciting as it gets, but the mortgage process can get stressful if you don’t know the right terms. We’ve put together a short list of the most important and frequently used mortgage terms that will boost your confidence and help you relax when speaking with your loan officer. Adjustable Rate Mortgage (ARM) – A 30 year mortgage with a very low introductory fixed rate (1, 3, 5, 7, or 10 years) then incrementally increasing interest rates after the introductory period is over. FHA loan – A 30 year loan backed by the Federal Housing Administration that has incredibly low down payments starting as low as 3.5%. Perfect for first time homebuyers and low-to-medium income homebuyers. Fixed Rate Mortgage – A mortgage that has a fixed interest rate and monthly payments throughout its entire life. Available in 10, 15, 25, 30, and 40 year term lengths. Jumbo loan – A mortgage that is too big to be insured by government institutions and consequently is held by private investors. The risk is greater so the interest rates are typically a little higher. Reverse mortgage – A financial plan for homeowners age 62+ that allows them to get payments for their home each month while still retaining equity until they pass away. Perfect for retirement funding. VA mortgage – A mortgage for active military, veterans, and their families with various potential benefits including no money down and no closing costs. Insured by the Department of Veterans Affairs. Mortgage Interest Rate – The interest rate that you will be paying based on your individual loan conditions. A low interest rate does not always necessarily mean a low APR. Annual Payment Rate (APR) – The present value of the interest rate over the length of the contract. This allows you to compare loans from different lenders side-by-side since the mortgage interest rates themselves are based on a variety of different terms. Most useful for long-term loan evaluations. Term Length – The amount of time it will take you to pay off your loan. Most loans have 30 year term lengths; however, some have shorter or longer term lengths. You will establish this early on with your lender. Loan officer – A certified representative from a mortgage lender, bank or credit union who assists in the qualification and approval process for borrowers. Loan origination – The general process of applying for a loan and processing the application. This typically includes every step from processing the application to disbursing the funds. Loan processor – An person within the lending institution who is responsible for accurately packaging loans that have been originated by loan officers. They also are in charge of verifying credit history, debts and income of the borrower. Underwriter – The person within a lending organization who weighs various risk factors and determines if a mortgage application should be approved or denied. 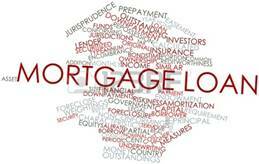 Mortgage insurance – An insurance policy paid for by either the borrower (PMI) or lender (LPMI) that protects the invested party in the event that the borrower defaults on the loan. Required for some low-down-payment mortgages. Pre-approval – A conditional commitment from the lender to finance your home up to a given price or financing amount. This is more difficult to obtain and requires concrete documents and information. Pre-qualification – The evaluation of what price range you can afford based on income and debt information that you provide. This is not a commitment to lend money. Points – An optional fee at closing that allows you to prepay interest on the loan. A point typically costs 1% of the loan amount and will reduce your interest rate by .25%. This fee is due at closing. Debt To Income (DTI) ratio – Your monthly recurring debt divided by your gross monthly income. Debt includes credit card bills, auto loans, etc.. Most lenders do not want to see this number exceed 40%. Loan To Value (LTV) ratio – The amount you are looking to finance divided by the appraised value of the home you are looking to purchase. Most lenders want this below 80%. Down payment – The amount of money you choose to give the lender as a condition of them granting you the loan. Typical down payments are around 20% or more, but FHA loans can go as low as 3.5%. Good faith estimate (GFE) – An itemized list with corresponding values that is meant to be the most accurate representation of fees to be paid at closing by the borrower. The GFE must be provided by the lender within three days of applying for the loan, but numbers on this document may change slightly before closing. Lien – An unpaid debt that results in the right to partial or entire possession of a home until that debt is repaid. Title insurance – A one-time fee that protects your ownership stake in the home. Insures your home against claims to title, past liens that went undiscovered, or other claims that could affect your ownership of your home. Closing costs – All the costs to be paid at the time that the real estate transaction is closed (keys are exchanged and ownership becomes official).